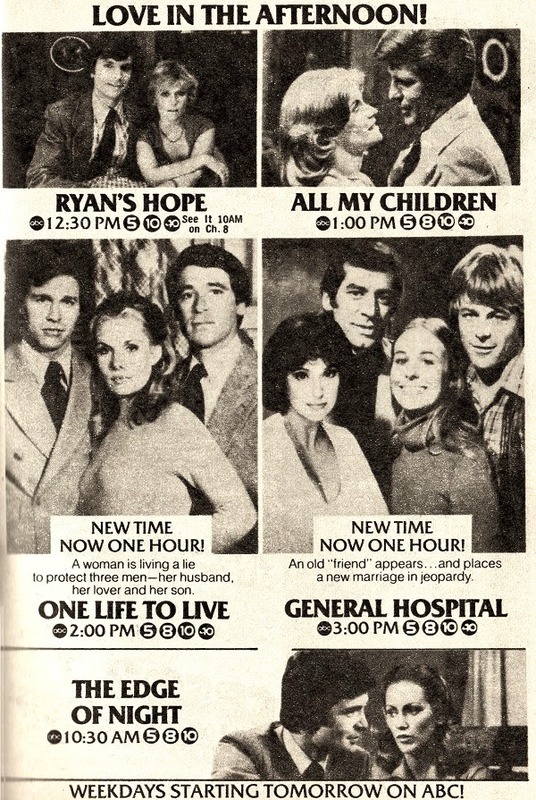 1978: One Life to Live and General Hospital each expanded to an hour. 1958: On The Edge of Night, Mike Karr (John Larkin) warned Toni Fescina of the danger if she tried to get hush money from Roy Benson. 1967: On Dark Shadows, Sam Evans (David Ford) woke up and tried to put out the fire, burning his hands in the process. Maggie Evans (Kathryn Leigh Scott ) came in and put the fire out, as Sam frantically claimed that Laura Collins (Diana Millay) burned his hands. Roger (Louis Edmonds) believed booze to be the culprit in Sam's accident. Sam accused Laura of causing it to happen. Roger Collins decided to destroy the new painting but found it had already been burnt. Sam was shocked as the fire wasn't anywhere near the painting. 1967: On Peyton Place, Rachel Welles (Leigh Taylor-Young) accepted an offer to stay at the home of Constance Mackenzie (Dorothy Malone) and Elliot Carson (Tim O'Connor). 1968: On The Doctors, Dr. Maggie Powers (Bethel Wilson) broke up a heated argument between Dr. John Rice (Terry Kiser) and Dr. Nick Bellini (Gerald Gordon). 1973: On The Doctors, Nurse Cathy Ryker (Holly Peters) kidnapped Stephanie, and told the baby she was going to rename her Stephanie. 1973: On Another World, Louise (Anne Meacham) eavesdropped when Alice (Jacqueline Courtney) phoned Mary and Jim to have her things removed from Steve's house and shipped to her. 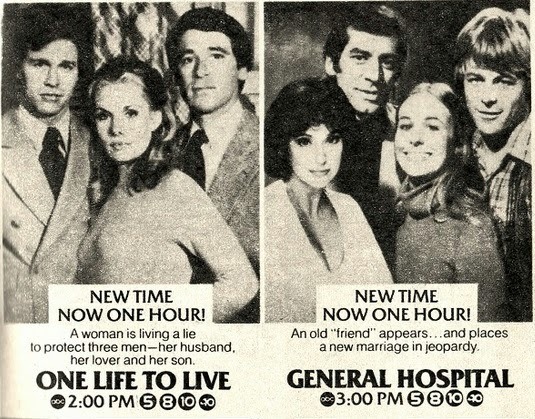 1978: One Life to Live and General Hospital each expanded to from 45 to 60 minutes per episode. 1980: On As the World Turns, Lisa (Eileen Fulton) was not thrilled to see Joyce Colman (Barbara Rodell), who stopped by the bookstore claiming she wanted to make amends for the past. 1981: Wesley Eure aired for the final time as Mike Horton in Days of our Lives. 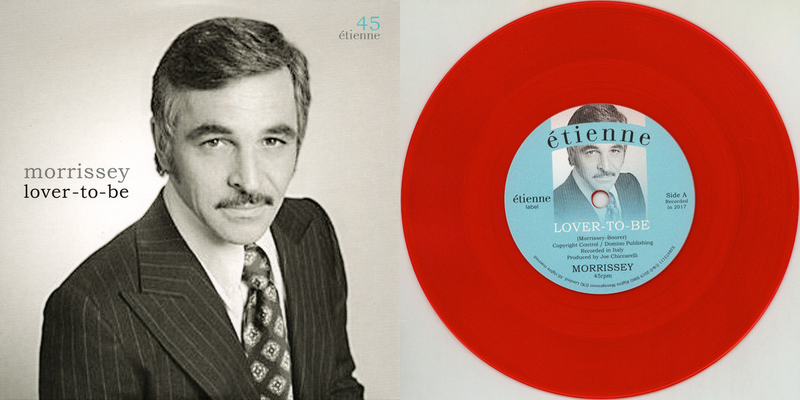 Read our interview with Eure here. 1981: On Another World, Mitch Blake (William Gray Espy) heard a car outside the the cabin. It was Rachel Cory (Victoria Wyndham), who had crashed the jeep and been thrown into the show. 1985: On Guiding Light, Tony Reardon (Greg Beecroft) suggested to his wife, Annabelle (Harley Kozak), that they leave Springfield. 1992: On Days of our Lives, Carrie Brady (Tracy Middendorf) told her father, Roman (Wayne Northrop), that she had decided to leave Salem. 1997: On General Hospital, the Quartermaines celebrated Emily's (Amber Tamblyn) birthday. 1998: On The Young and the Restless, Phyllis Summers Romalotti (Sandra Nelson) broke down in the courthouse after losing custody of her son, Daniel, with only her attorney, Michael Baldwin (Christian LeBlanc), left to comfort her. 2008: After departing in 2005, Rebecca Budig returned as Greenlee Smythe on All My Children.